There are a few artists whose work I have more-or-less complete on CD, and I enjoy them enough that I want to keep buying their physical albums. There aren’t many of these: Jethro Tull, IQ, Jadis, and if The Who or Pete Townshend ever release another album, I’d buy that on CD, too. There are also some albums I want which I can’t easily find online (meaning, for download from iTunes or Amazon). 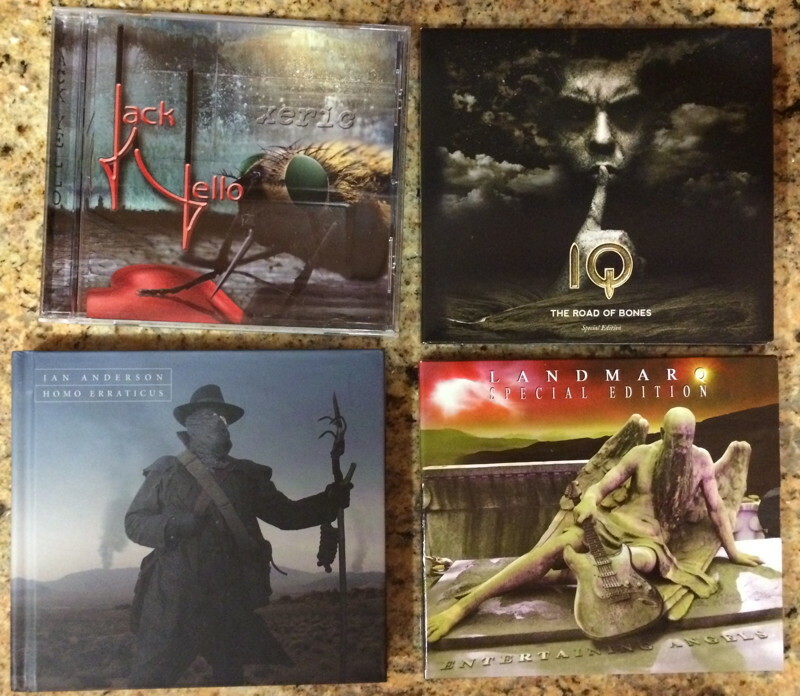 The Jack Yello and Landmarq albums in the picture are two of those. There are even a few albums I can’t even find domestically on CD, which is weird, especially in the case of Presto Ballet, whose whole catalog save one album is available on iTunes. Strange. I could probably hunt around and find them for legal download somewhere, but I don’t really want to kill myself, not when I know I can get the CDs from stores I’ve used before. One of my projects for later this year is to go through my CD collection and decide what I want to keep and what I want to get rid of. I’m sure I’ll get rid of most of it in the long term, but in the short term just culling the marginal stuff is a good start. Get down from 4 boxes of CDs to 3 or even 2. It’s a far cry from my college and grad school days, when I was buying 1-2 CDs per week. On the other hand, I have fond memories of marching through Jethro Tull‘s back catalog in 1989-90. Making mix tapes to listen to on the tape player in my car. I spent a lot of time on that stuff, but it was fun at the time. Not all wasted time is actually wasted. A while back we realized that our CD collection is mostly irrelevant; it’s all ripped and we carry a large selection with us everywhere we go that’s more convenient than finding the portable CD player. Susan still keeps some CDs out next to the boom box upstairs when she’s working up there, but otherwise the storage space is better used for DVDs.